← Governor Cuomo Why are you afraid of us? Two scientific studies to think about. Do they conflict or do they actually say the same thing? 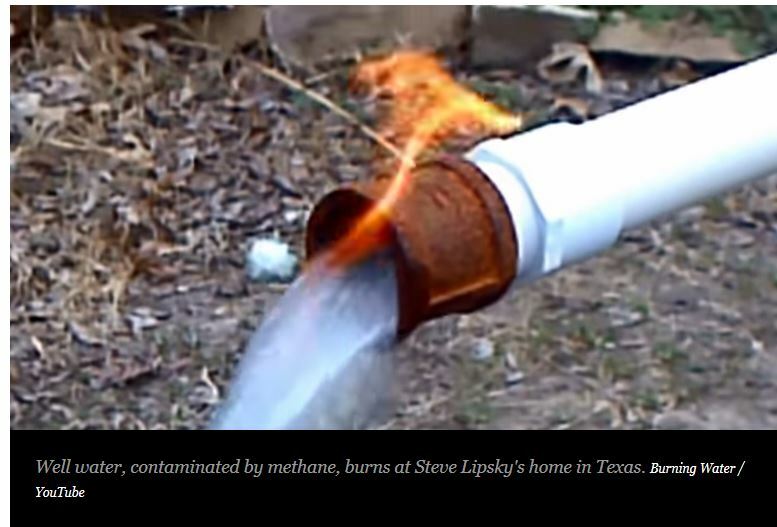 This study reported on by Newsweek on 9/15/2014 and carried out by researchers from Duke, Ohio State, Dartmouth, the University of Rochester , and Stanford found that by tracing the signature noble gases they identified eight wells contaminated with fracked methane, including the famous Lipskey well – the one with the flammable water. 1) They studied 6 wells in a situation where the company was under such public scrutiny it probably wouldn’t allow any corners to be cut. Is that a big enough and independent enough sample to clear all fracking operations? 2) What they did find is scary. The fractures from fracking, which fill with methane, other pollutants in fracking fluid, and unknown deep earth bacteria, go much further than previously thought – up to 1900 feet. Now in NY the proposed regulations say they can drill 1000 feet below a water aquifer. Do you want them drilling under yours? Hmmm… Maybe these two studies are really saying the same thing. Fracking is not safe for people and other living things. Gallery | This entry was posted in Environment, Fracking, Gas Drilling, Health, Pollution, Water and tagged Drinking water, Fracking, gas drilling, New York State proposed regulations, water pollution. Bookmark the permalink.